Depending on the various components that you would like to incorporate into your upcoming event, planning your own wedding can be a fun but enormous task. With today’s technology, however, the task has become much simpler. The introduction of the internet and the vast amount of useful information it contains has become a powerful tool that can assist you with accomplishing most any goal desired, including wedding planning. When beginning your search, it is wise to start with the most important item – the wedding location. Obviously, the importance of securing the location first is that it may not be available for the time or date you selected for your wedding, thus demanding adjustments with plans. Therefore, it’s not possible to contract for other services since they will be based on the specific time you reserve the facility. The techniques of conducting an internet search are easy. For locating a ceremony site, simply open a browser on your computer and type into the search box of Google or Yahoo, for example, the city that you want to have host your wedding and attach the words “wedding locations”. 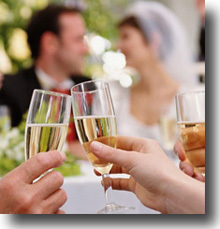 For instance, if you’re searching for a wedding facility in San Francisco, enter “San Francisco wedding locations”. If you’ve done any prior internet searches, it should be no surprise that you will literally get millions of results. The first few pages of results will more than likely be the most relevant, but don’t hesitate to scroll down the list on the other pages because you may find better prospects; top listings of a search have no reflection of what you will receive in terms of excellence. Repeat searches in a similar manner using the different keywords for the necessary services you need, attaching them to the name of the city you’re searching in. After clicking on the varied search results, call and talk to each wedding service provider that looks appealing, asking specific questions in regard to your specific needs. By using the internet to plan your wedding, you will find that what originally appeared as a mammoth chore is now largely facilitated. Too, as a result of coordinating your own event, you will have effectively removed the middleman, avoiding the additional expenditure of a wedding planner. The greater reward, however, for planning the most important day of your life yourself will be the added assurance that this monumental event will happen exactly how you envisioned. Regardless if you are coordinating the special event yourself, a wedding service provider or planner can provide helpful information or assistance with your campaign. Information is typically free, and if your wedding search brings you into unfamiliar territory, a local coordinator can be an invaluable source that’s able to steer you in the right direction. 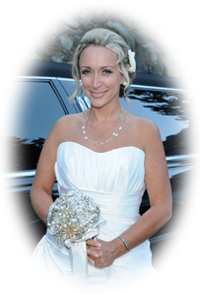 Simply conduct a search for one using the internet where your wedding will be held, and if Northern California is a consideration, you may contact us and our friendly staff will be glad to assist you.